World Half Marathon Championships Thread! Did US men do well at Chicago? Carney-Gotcher-Bauhs, What Happened In Birmingham?? Ritz! Take a week off! *Chicago Results - 9 US Men, Led By Sergio Reyes, Break 2:20 Both Shackleton brothers not only broke 2:20 but they got Olympic Trials qualifiers, running three seconds apart in 2:17:5x! Early leaders like Tadese Tola and Ben Maiyo absolutely blew up (first half in 62, second half in 73). *Announcers Said Deena DNFed But Really She Was Battling Bathroom Problems Deena Kastor had another rough day, while World #1 Irina Mikitenko couldn't put Russia's Liliya Shobukhova away early in the race like she did in London. 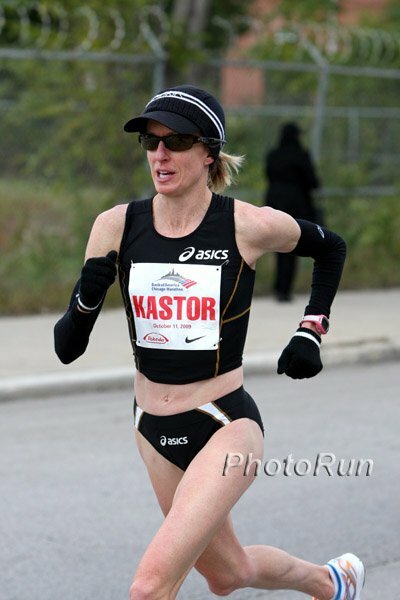 *LRC MBoard Thread: Is Kastor all hot air? Kastor is anything but hot air, but her last several marathons have not gone well. 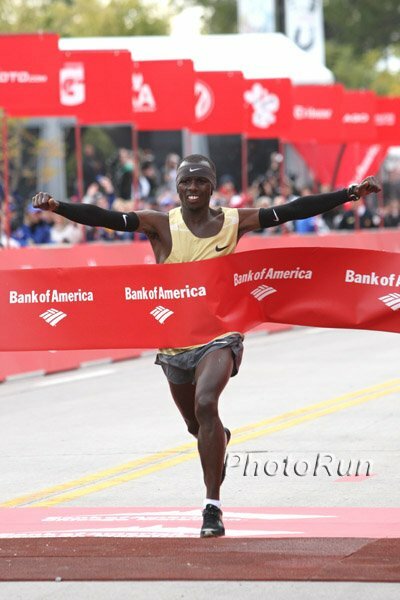 Sammy Wanjiru threw down after 21 miles to drop Charles Munyeki and Vincent Kipruto to win and break Khalid Khannouchi's course record by 1 second. The early pace was ridiculously fast and Abderrahim Goumri was smart, laying back and charging late to get 2nd place AGAIN! On the women's side, Liliya Shobukhova followed her 3rd in London this year with her first big marathon win ahead of aging stars Irina Mikitenko (2nd) and Deena Kastor (DNF) 6th (the announcers said she DNFed but really she made a pit stop at a toilet). We got an email saying Shobukhova closed the last 2.2k faster than Wanjiru and Goumri ... more on that coming in the Week That Was. Martin Fagan And Gebre Win B.A.A. Half Marathon Fagan ran 62:21 to miss the course record by 1 second. 2:25 Wins Scranton's Steamtown Marathon Dwight Schrute and Michael Scott volunteered at the second water stop. Preview Of Izumo Ekiden - Apparently You Can Watch It Online Wejo, Rojo and Employee #1 are all alums of the great Izumo Ekiden. This year's Ivy team may be the best ever sent, anchored by Ben True.